It is my favorite Polish soup. Probably because I eat it only once a year: on Christmas Eve with my family. Smell of dried mushrooms directly make me think about Christmas and my home in Poland. 1. 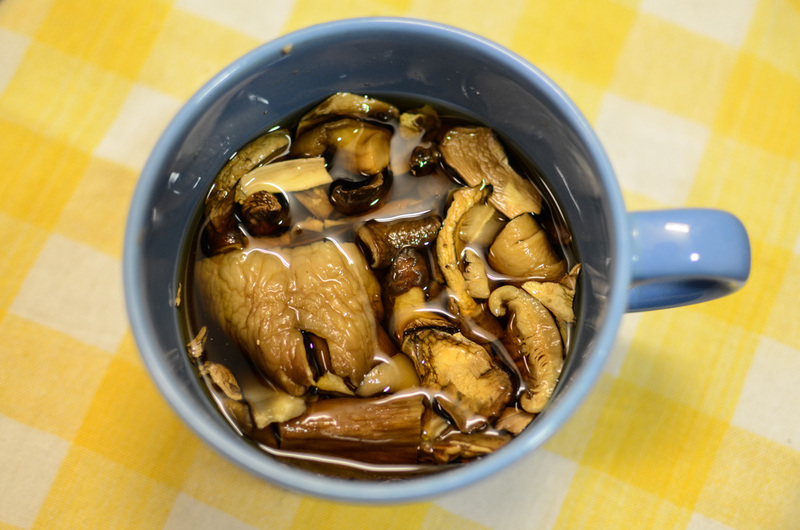 You need to leave dried mushrooms in water for at least 6h (or overnight). Keep the water from the mushrooms. You will use it to cook them. 2. Put mushrooms (with the water they stayed in) into 1L pot. Fill it up with water to have a final volume of 1 liter. 3. Peel the carrot and put it in. It will give the soups a bit of sweet taste. 4. Bring everything to boil and cook for around 20-30min (until the carrot and mushrooms get soft). 5. Add olive oil, salt and pepper. 6. In a little cup mix well the corn starch with cold milk. 7. Add the mix to the soup and stir it well. As soon as soup get to boil again it will get a bit thicker. 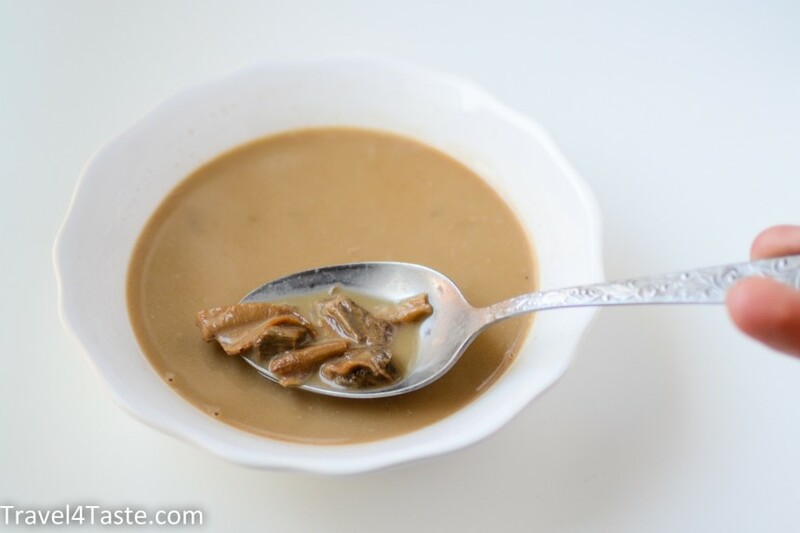 This entry was posted in Christmas, Dinner, Gluten Free, Mashrooms, Poland, Soups and tagged c. Bookmark the permalink.